As my Christmas break draws to an end (Yes, I know it’s the 10th January already). I wanted to have one last day out in London. One of my friends that I go to uni with wasn’t doing anything either, so we took a trip up to the Sky Garden, on the 30th floor! It’s a strange white skyscraper opposite the Shard, resembling a walkie talkie. You don’t have to pay but you do need to book a time slot. There’s an uber posh restaurant and a cafe area, which sells delicious looking muffins. The panoramic views of London even on a grey day were amazing, you could see everything from planes landing and taking off from City Airport to Tower Bridge and Big Ben. I can imagine it being stunning at sunrise and even at night too. They have a large balcony area on one side which you can take all the ‘selfies’ you want with London’s famous landmarks… I may have taken advantage of this too. 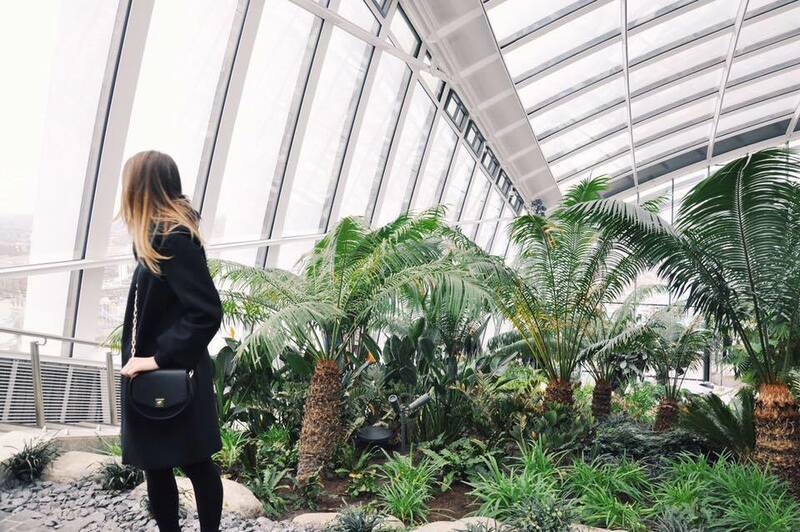 Despite being in Central London, entering the Sky Garden I felt instantly calm, it was quiet and the plants transport you to a tropical island. They were a lovely vivd green, although there wasn’t a vast sample of plants, the views definitely made up for it. It’s certainly worth a trip up there if you’re visiting London or even if you want to catch up over coffee and stunning views.